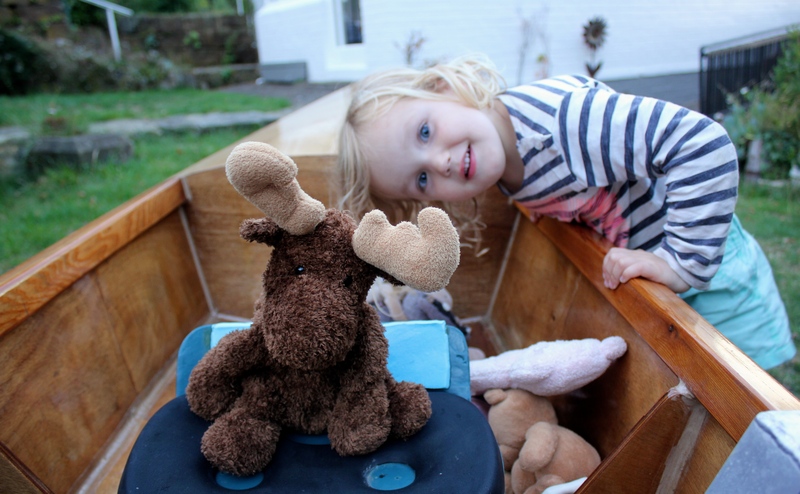 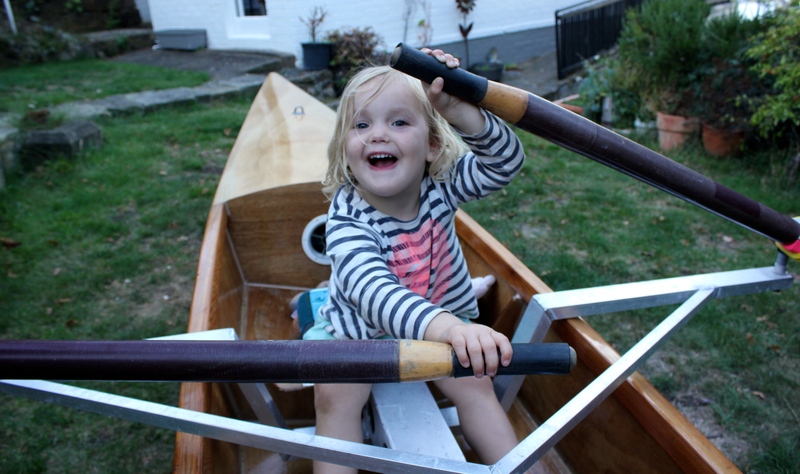 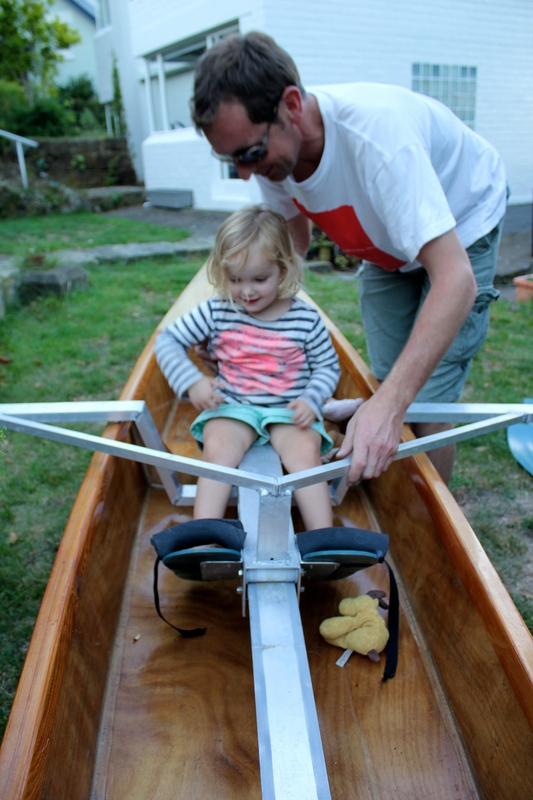 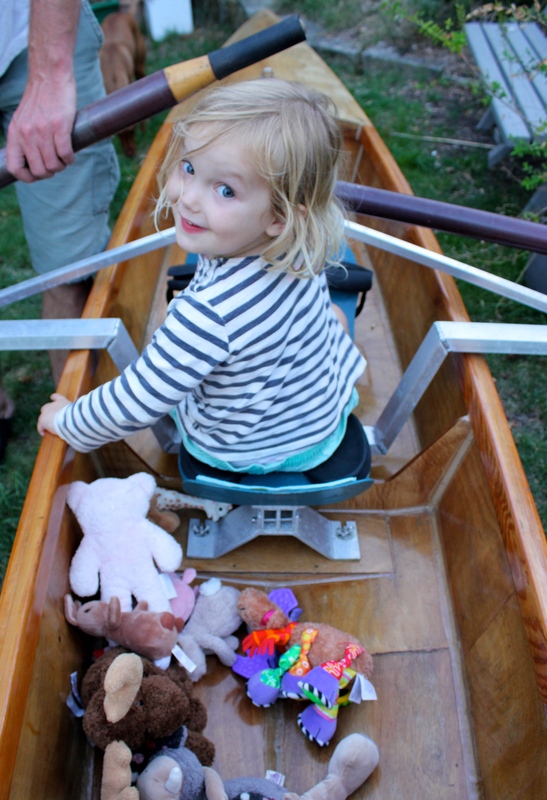 Nick has been looking on Gumtree for a rowing skiff for over a year now and his patience has paid off, as he finally found this little gem that he picked up yesterday. 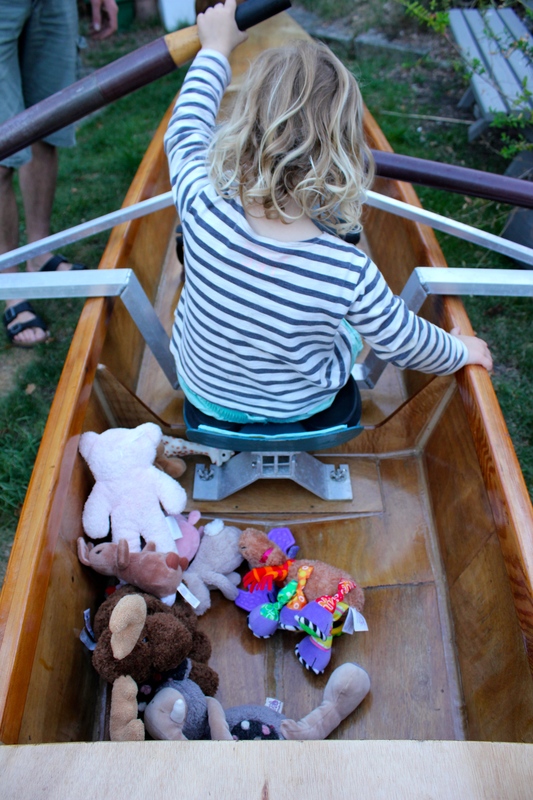 Poppy ran inside, grabbed all of her toys and took them for a ‘row’. 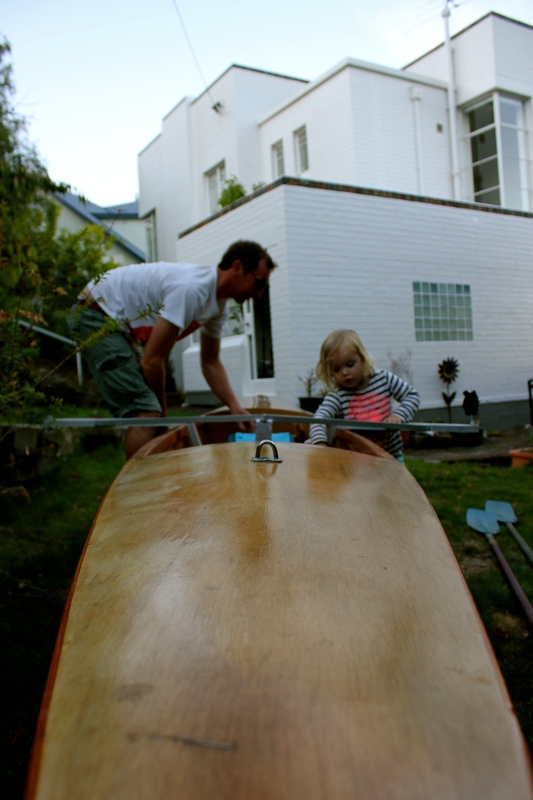 Mmmm … never too soon to learn I guess.